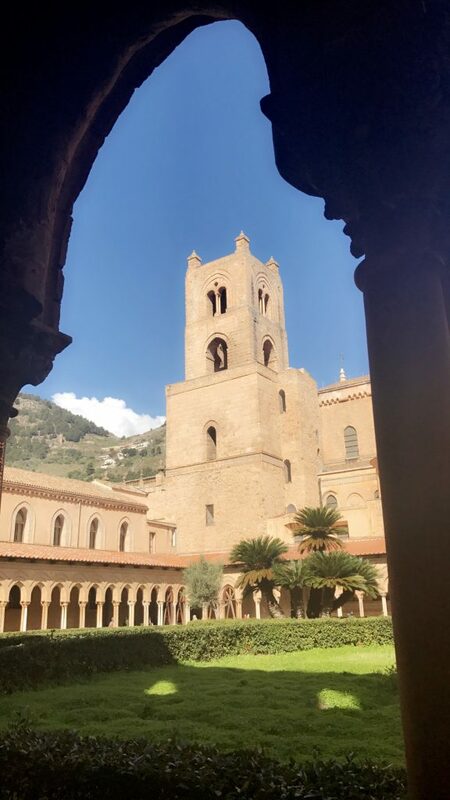 Today we left Palermo and headed to the city of Monreale, a town located at the top of a hill on the outside of Palermo. 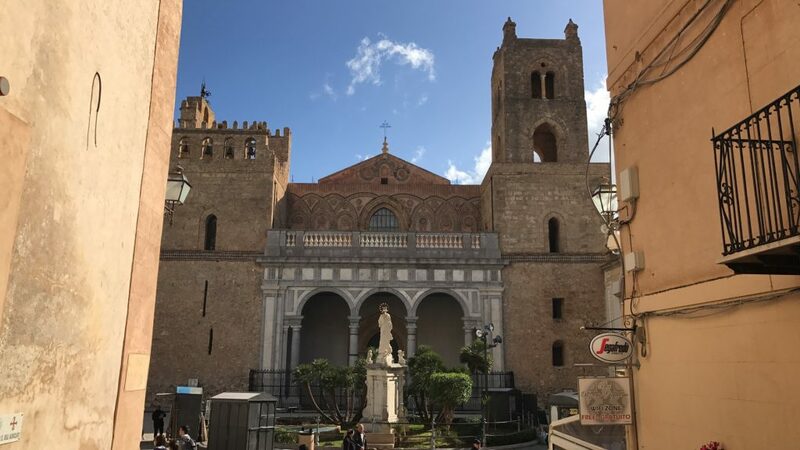 While here we visited the Duomo of Monreale, which is another UNESCO World Heritage site, and saw the beautiful mosaics located on the ceiling and higher portions of the cathedral. Once again we saw different depictions of the same stories we studied from the book of Genesis. After walking around the Duomo, we headed over to the Chiostro dei Benedettini, a monastery for the monks of Monreale. The pillars all around the courtyard were decorated with colorful mosaics, and the top of each pillar had a biblical and historical scene depicted on it. Below is an image of the main tower that connects the monastery to the cathedral as seen from one of the openings made by the pillars. While at the monastery, I had a very pleasant interaction with one of the gift shop workers. I also bought a Commissario Montalbano book and a couple of postcards. 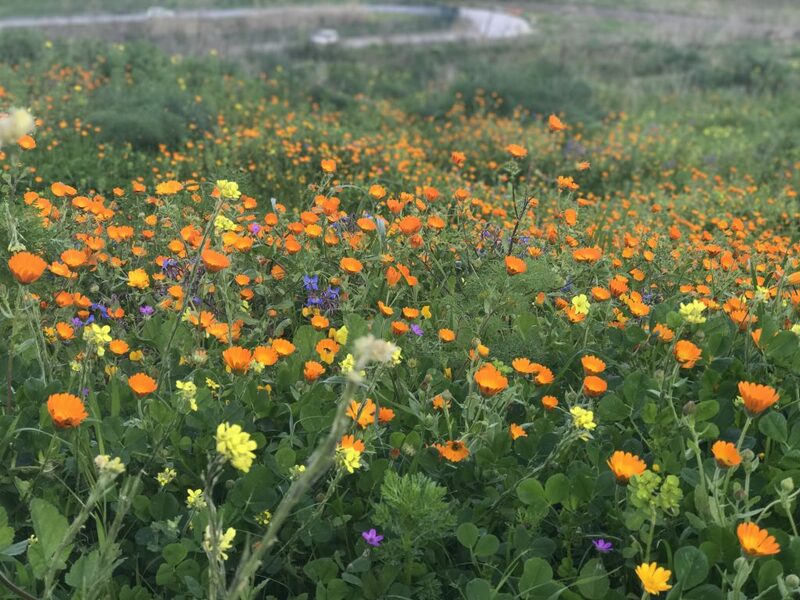 After visiting Monreale, we headed over to Segesta to see an archaeological site full of flowers, an ancient temple and an ancient theater. I didn’t get many pictures of the temple, the theater, or the hike up to the top of the mountain where the theater was located (most of these sites were captured on video), but I did get this cool photo that Frankie walked into (and I’m glad he did). 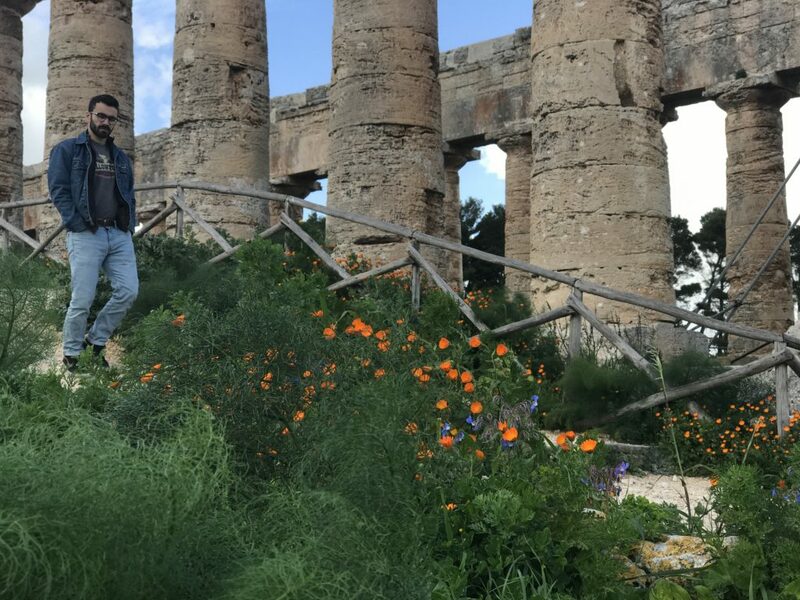 The trip to Segesta was amazing, and it has been one of my favorites so far, as well as the trip to Monreale. After lunch in Segesta, we headed higher up to the city of Erice, located at the very top of what appeared to be a mountain. 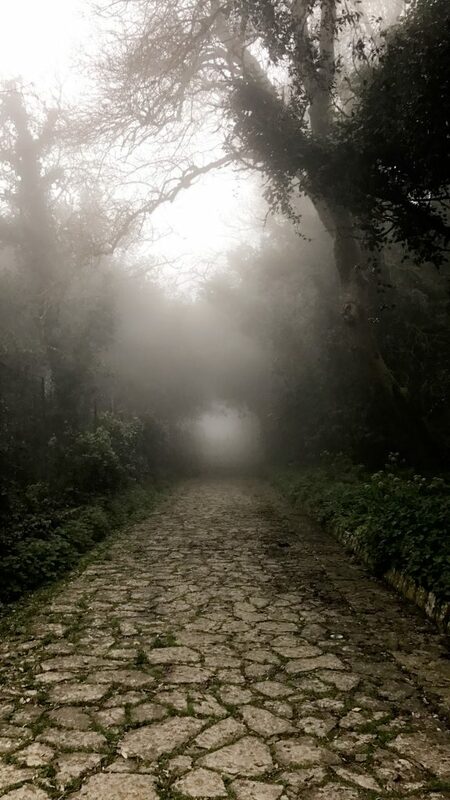 The clouds in high above made the city a foggy and eerie sight once we got there, and it was kinda creepy but I loved it! 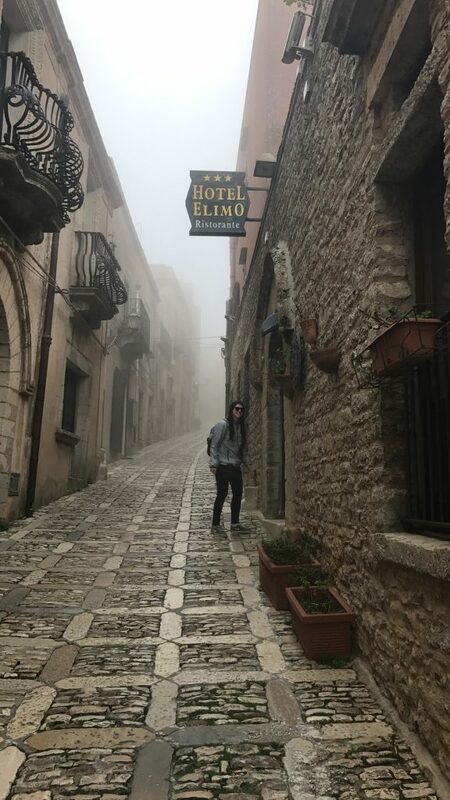 Here are a couple of pictures to show how cool of a sight the afternoon in Erice was, one of them featuring Emilia! To end the day, we had cooking classes where we learned how to make sweet treats out of Almond flour and tons of sugar. We were also gifted some pretty neat aprons for our future cooking endeavors! We topped the night off with some delicious Sicilian/Italian ‘snacks’ for dinner, which ended up being a full blown Sicilian meal.